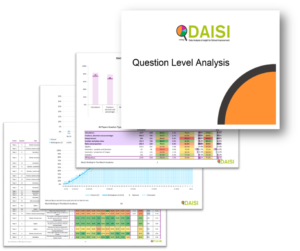 The DAISI Annual Primary Data Analysis Package remains the most cost effective way of using our products and is very popular among our local Nottingham schools providing a full year round service. This combines the best of what we offer into one stand-alone pack. question summary and type results. 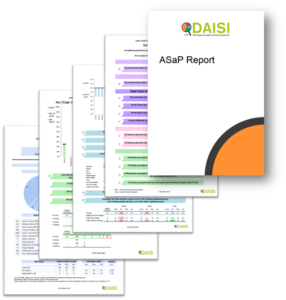 This is your essential electronic report distilling your school’s ASP School Performance Summary into one simple to understand report with personalised analysis on every page. It is packed with graphs and charts plus our ready-made performance statements converting your data into plain English. The Appendix includes analysis by up to 42 different cohort groups. 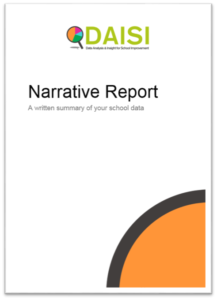 Released at the end of the school year, this narrative report is a written summary of your school data created especially for inclusion in your SEF or reports to governors. Readymade in Word format, you also have the option to add your own additional commentary. Clear simple three page guide give a clear indication of how your school has performed against national figures. Great for Governors and Key Staff. The Income Deprivation Affecting Children Index, provided by the Department for Communities and Local Government, gives a clear profile of the factors affecting the pupils at your school/academy. providing analytical commentary on DfE key performance measures within your local area/MAT. Released and distributed throughout the year. Up to date reports throughout the year ready to share with Assessment Co-ordinators, Senior Leaders, Subject Leaders, School Improvement Partners, Governors and Ofsted. Single page views with clear graphs and charts, simple tables, colour coding and benchmarking. Statements that immediately show areas that are secure and the gaps to focus on. One centre dealing with all your data enquiries – including full helpdesk service. Tailor your school CPD for maximum impact knowing what your pupils need. Share reports with other schools; identify common trends/needs, commission CPD support and identify successful curricula interventions. Overarching Multi Academy Trust Strategic Packs available. All reports and statements are created throughout the year with no prompting needed from you. We will need to ask you to send in your data. All Reports sent via secure email. Affordable pricing policy according to the size of school. Buy it for three years and save money! Contact the DAISI service by email or phone and we can discuss. All arrangements are bespoke depending on size of school and your data needs. Email: mail@daisi.education or Phone us on 0115 876 4020. “What a fabulous job the Data, Analysis and Insight team has done for us once again! With an accurate and critical understanding for schools the team has devised a simple but effective tool for analysis of internal data at question level for our schools. “Luton Council have worked in partnership with the DAISI service in Nottingham City Council since 2016. 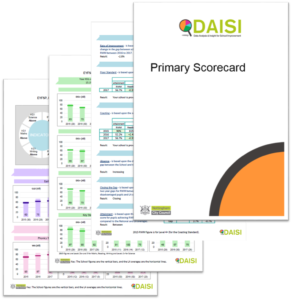 DAISI provide Luton with comprehensive performance reports for all of their schools including EYFS, Key Stage 1, Key Stage 2 and Key Stage 4 analysis. In addition to the school level reports, Luton receive Local Authority level reports and bespoke reports based upon Statistical First Release data.